A wide brimmed hat in a soft aqua hue. 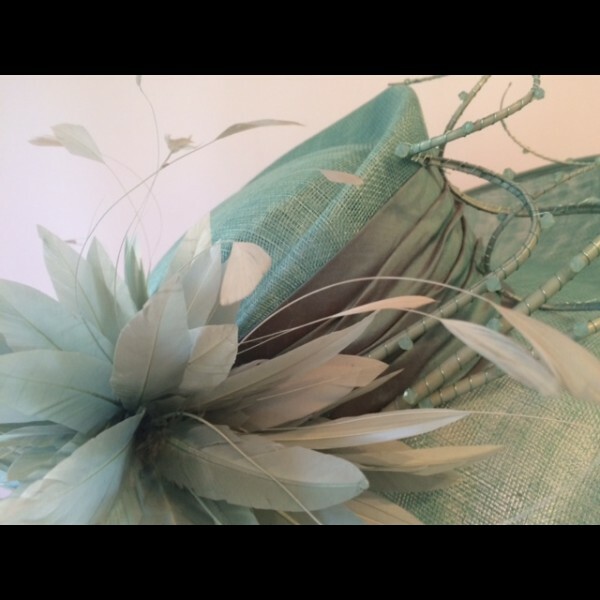 Hand curled quills and a riot of feathers. 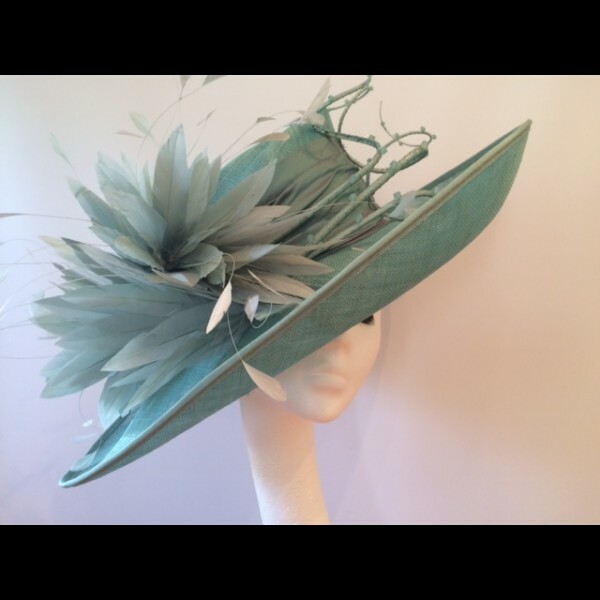 This hat fits the larger headsize up to 60cm. 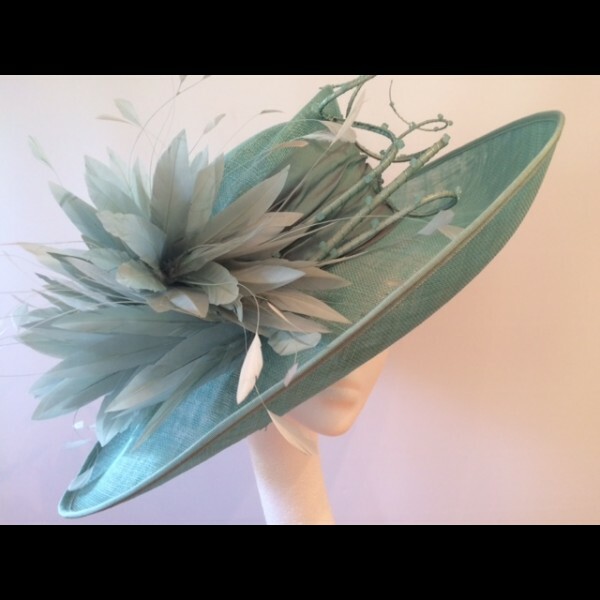 Gorgeous & Glorious Aqua Sinamay Wide Brimmed Hat with Quills & Feathers. 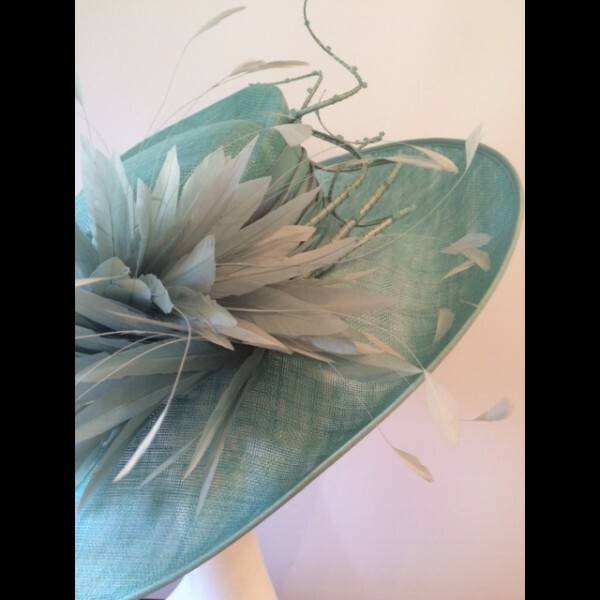 An east to west wide brimmed hat in a soft aqua sinamay. A shaped gutter crown. 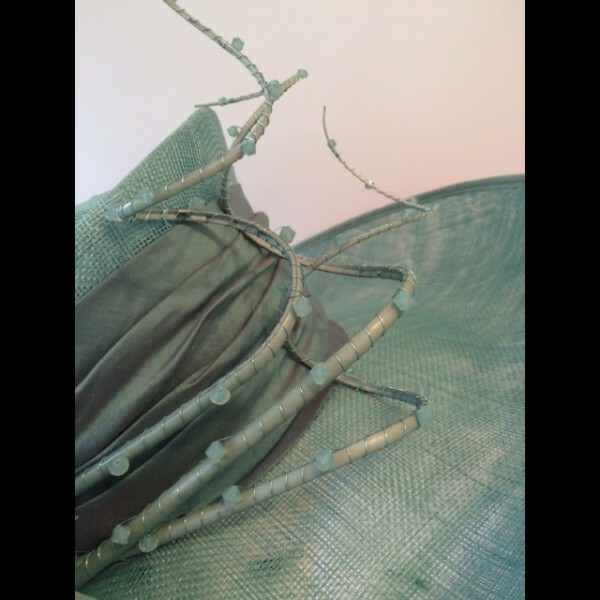 Toning ruched crown band in silk dupion. 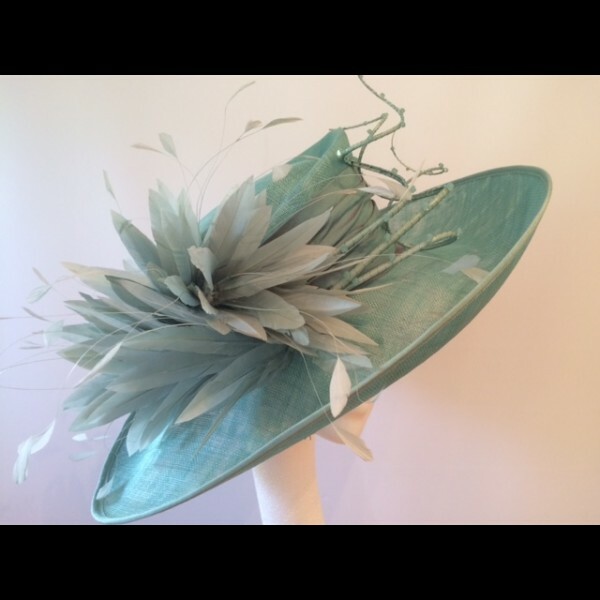 To the front, three hand curled quills that have been wired with toning swarovski bicone beads. To the right hand side a riot of toning feathers. The price quoted is for the HIRE of this hat. Colour samples available by post if required.